← 2013 Ripple #14 – Salsa! Ketjusilmukkahuivi. 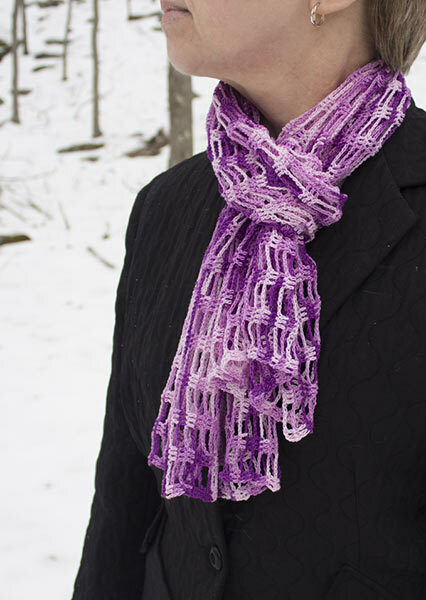 Someone in Ravelry explained that’s Finnish for ‘chain stitch scarf’. For those of you who can read Finnish, here’s the Ulla (Finnish on-line knitting magazine) post with Raijis’ original project and pattern. The rest of us can at least enjoy the colorful photo! lol. With a few days left before the silent charity auction’s deadline, I thought I’d give this fun-looking pattern a try. These two balls of South Maid ‘Shaded Purples’ from my attic stash seemed perfect for an airy spring scarf/wrap. When 350 yard balls (320 m) of #10 mercerized cotton are tagged 25¢ each, they were obviously a tag sale find! 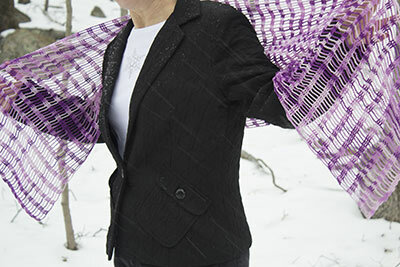 Made with a Worsted Weight yarn and size E hook (3.5 mm) the finished scarf will be about 10 1/2″ x 70″. In the blog photo I count 25 rows. Count 15 chains (creates a 15 chain long fringe) then dc in the 16th, 17th, 18th, 19th and 20th chains for a total of 5 dc. * Chain 15 , skip 15 chain, 5 dc in next 5 chain repeat from * across. There will be 15 unworked chains for that end’s fringe. Fastened off and repeat with next color. Adjusting for my change from yarn to a single strand of #10 crochet thread, and having omitted the fringe, I chained 390 to start. I had also decided to do groups of 3 dcs with 5 chains instead of the original pattern’s 5 dcs and 15 chains. So I made my first dc in the 4th chain from the hook, then dc in the 5th and 6th chains. That’s the first set of 3 dc. * Skip 5 chains, dc in next 3 chains. Repeat from * across. Row 2 through Row 47: Since I didn’t change yarn colors at the end of each row I did a regular 3 ch turning chain which counts as the first dc of my next row. From here on I just matched my stitches to those of the previous row starting with the remaining 2 dcs in the first group of 3 dcs, then * chain 5, skip 5 chains of previous row, 3 dcs into next group of 3 dcs. Repeat from * across. After blocking, my version of Ketjusilmukkahuivi is 15″ x 62″. A little longer would have been nice, but it’s good, especially when. . .
or as a lacy wrap. . . Guess I just couldn’t get enough of ‘modeling’ in a snowstorm. lol. Here’s one more pose of my very easy, very inexpensive yet striking crochet project. But I must admit to some minuses that don’t show in the photos. While it was laid out flat to dry the variegated’s weird pooling really annoyed me, but thankfully that’s not noticeable when it’s being worn! And, it turns out mercerized cotton feels a little “crunchy”, especially against the neck. If there’d been more time before the fundraiser’s deadline I’d have soaked it again with fabric softener. Still, I can’t help but wonder if I have another two matching balls of thread in stash. For sure the next Ketjusilmukkahuivi I make will be for me! P.S. A Big Thank You to DH for playing fashion photographer for me once again. 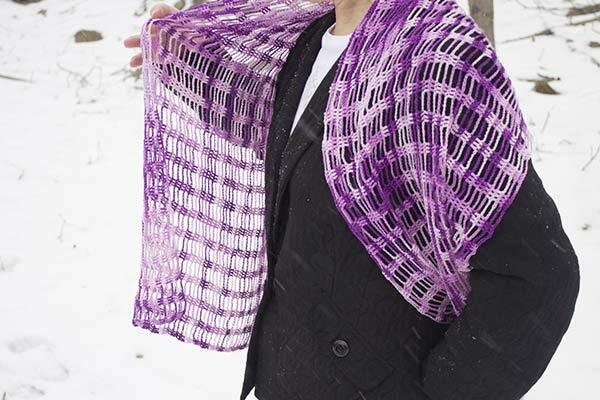 This entry was posted in Scarves and Cowls, Shawl and tagged crochet cotton thread, crocheted scarf, crocheted shawl, crocheting, Finnish knitting magazine, ketjusilmukkahuivi, scarf pattern, Ulla. Bookmark the permalink. 18 Responses to I Crocheted a Ketjusilmukkahuivi! I’ve never seen that before, it’s so pretty! You might looking at more finished Ketjusilmukkahuivis. There are now 190 in Ravelry! So pretty … great job! This is so, so pretty! The thread is size 10 right? Did you use an E hook? Yes, #10 crochet thread, 700 yards (640 m) of it. I’ll go add that to the post. Oh, bother, my notes don’t say which hook I used, but I’d guess E or F.
Have you worked with mercerized cotton often? It’s rather ‘crunchy’ and I’m wondering if there’s a way to soften it. A soak in warm water with some hair conditioner, which works so well for animal fibers, made very little difference. Oh, my gosh! Linda! That’s beautiful!!!!! And you did a fabulous job modeling it! Although it was a Terribly Cold day for an outdoor “shoot”, we still had fun! That is really beautiful 🙂 and the variegated shades of purple are really nice. It’s my favourite colour. You are too kind Bobbi! lol. I’m certainly more practiced at crocheting than knitting, but I love them both! And I can hardly wait to get back to weaving. Very pretty! I love how the variegated thread looks. You might try using fabric softener and putting it in the dryer (gasp!). Think cotton towels and jeans on the clothesline vs. the dryer. I can’t guarantee that you will like the results, but there is a reason that we don’t typically use crochet cotton for clothing. If you decide to make another and want a similar weight, try lace weight wool or linen. I haven’t tried it yet, but Aunt Lydia’s Bamboo crochet thread is really soft, but limited in colors. Alternatively, block it, iron it, and put it on your table! I love your blog and the work you do for the kids. Nice job! How silly of me not to think of it. Although the idea of putting any crocheted cotton item in the dryer did make me Gasp! lol. Isn’t that begging for major shrinkage? Mercerization doesn’t prevent shrinkage does it? Thanks for the warning about the Oxy-clean!. It’s great stuff, but obviously doesn’t work well on everything. Yes, I’d like to use this weight for my Ketjusilmukkahuivi too. Hmmm. 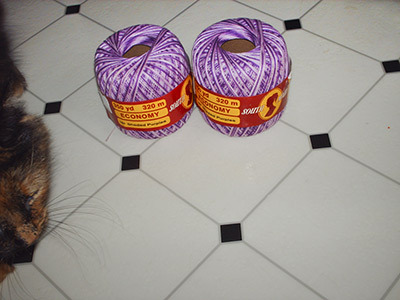 I do have some laceweight wool. . . even some cashmere, although there might not be enough. Linen and bamboo would probably be better choices as I’m thinking of this as primarily a summer garment. Thanks for getting me to think about these alternatives to that ‘crunchy’ mercerized cotton! lol. I must check my stash. Thank You! I’m glad that you enjoy reading all about my projects, including the charity ones. I hope my blog inspires you to find a charity project of your own. There are so many to choose from, I’m sure there’s one that fits your personal interests/concerns. Wow! That is such a pretty use for bedspread weight cotton! Did you hold two strands of thread together, or just use one? Please be aware that, as pretty as this scarf looks, it felt kinda ‘crunchy’ against my neck. But maybe not all brands of mercerized cotton are like that. Please let me know how yours comes out. Thanks for the heads up, Jennifer. I didn’t realize that I’d not mentioned this in the post. I’m off to add it now. I found your site this morning and it is the BEST. Thank you, Leona! and welcome to alottastitches. 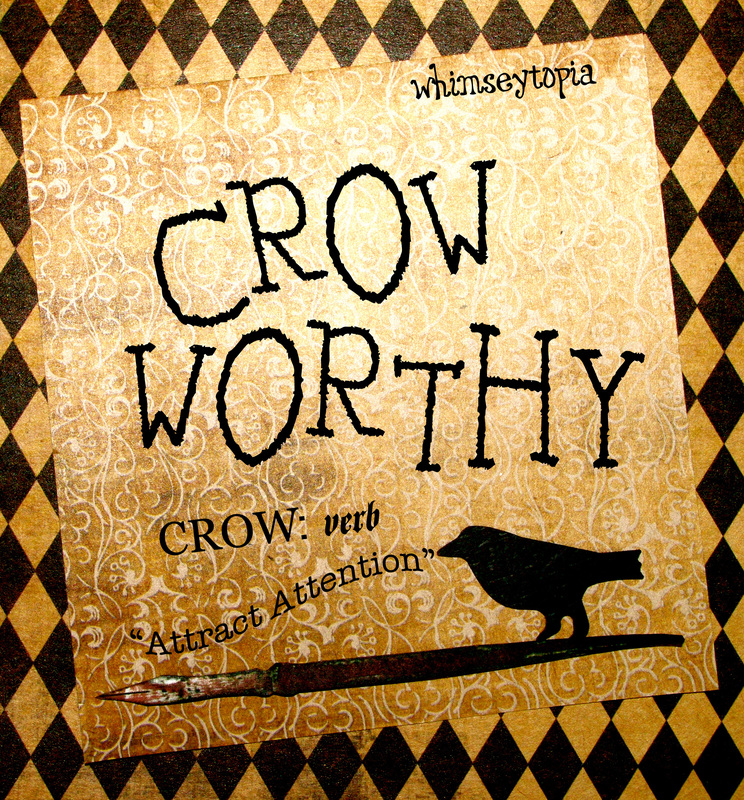 I hope you have fun crocheting a Katjusilmukkahuivil for yourself!